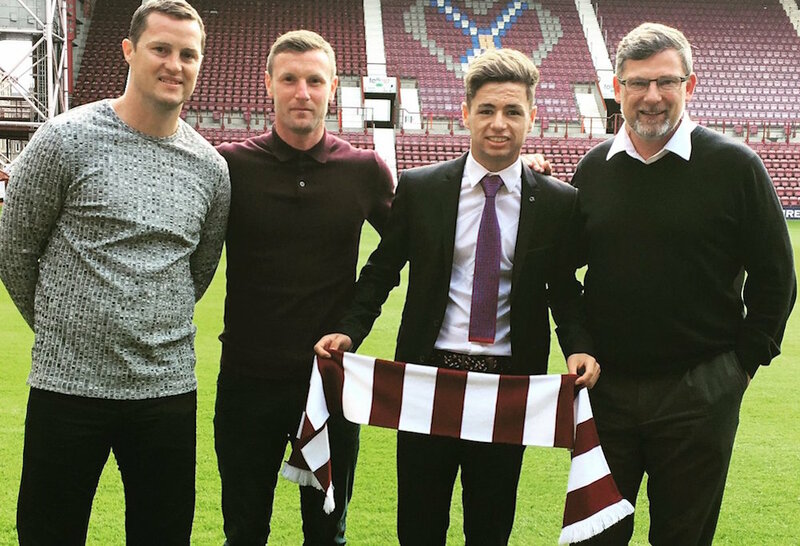 JAMIE BRANDON has wasted no time in establishing himself as a first-team regular at Hearts. However, the talented teenager still remembers how the clock seemed to stand still on his nerve-shredding debut. 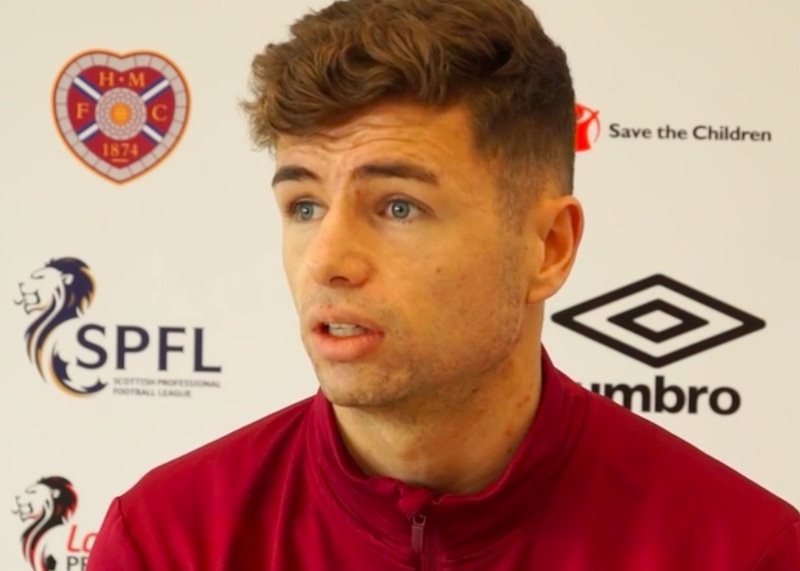 The 18-year-old was afforded a baptism of fire for the Jambos in the final game of last season, with former head coach Ian Cathro pitching him and fellow youngster Euan Henderson into the side to face Celtic at Parkhead. Brandon concedes that was the only moment he has felt overawed during his rise to the senior side and is adamant he can now handle anything Scottish football has to throw at him after being charged with shackling Scott Sinclair. Hearts were defeated 2-0 that afternoon in the east end of Glasgow, but Brandon left with his head held high and has never looked back. “The only time I felt a bit nervous was my debut at Celtic Park,” recalled Brandon. “I thought I had played about 20 minutes and l looked up at the scoreboard and we were only four minutes in! “I was up against Scott Sinclair that day so it wasn’t easy. However, if someone goes past me I just try and forget about it and do my best against them the next opportunity I get. “I was just happy the gaffer put me in that day and has given me a chance this season. I still feel like one of the young boys, I am still in the under-20s changing room so I still get changed with all the academy boys. He is certainly making good progress towards that aim. Brandon has emerged as a versatile, reliable defensive option for the Jambos this term, including deputising laudably at left-back. He has helped them rack up a club record-breaking run of six games without conceding a goal. Not bad for a player told he wouldn’t make the grade and released by Rangers just 18 months ago. “We do a lot of defensive work and it also helps when you have players like John Souttar, Aaron Hughes and Christophe Berra,” said Brandon. “There is experience there and, even though John is only 21 he has played a lot of games. “So it is great to have those boys behind you to talk you through the game. Christophe is always talking and telling you where he wants you to be, which is really helpful for a young player. He’s one of the guys l look up to, as he has so much international experience. Michael Smith, similarly, has been impressed with Brandon’s progress, recently tipping him to be a top-level full-back of the future. Brandon’s development continues this afternoon when the Jambos host Hibs in the fourth round of the Scottish Cup – just 25 days after he helped the Gorgie side shutout their rivals in a fraught 0-0 draw on league duty. The only moment of note in a turgid contest was Oli Shaw’s contentious strike which crossed the line, only for assistant referee Sean Carr to fail to signal for the goal. “Last time out it was a tough game, both teams cancelled each other out,” added Brandon. “Obviously we wanted to go out and play football but it never really happened for us, hopefully we can do better this time.